Recently, President Obama has been touting something called the "innovation agenda." At a speech in Wakarusa, Ind., for example, he told a crowd that, "innovation is more important than ever." And he wants to promote more of it, too. Good politics, no doubt. Innovation is, after all, one of those things just about everybody is for. But despite all the talk, and for a society so caught up in its individual technologies, what do we really know about how technological innovation actually happens? Apparently, very little. 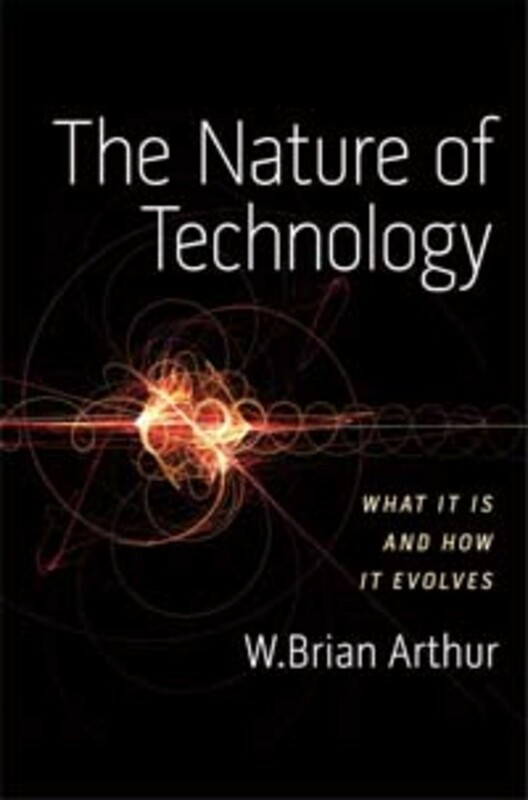 Or so argues W. Brian Arthur, an external professor at the Sante Fe Institute for Complex Studies and the author of a new book, The Nature of Technology: What It Is and How It Evolves. "There isn&apos;t any deep understanding of innovation out there," Arthur said in an interview with Miller-McCune.com. "And I think you can see that because the way innovation is described is very hand-wavy, and-then-something-creative-happens. All societies want to be innovative, but in the absence of any deep idea about innovation, governments and companies tend to run after what seems to be the latest idea; that if you somehow have, &apos;creativity,&apos; or invest in R&D, or set up industrial parks, that&apos;s going to work." The book&apos;s basic argument is that new technology is just combining old technologies in new ways. And all technology is, at its core, simply the harnessing of nature and its manifold phenomena for human needs. Historically, innovation starts with very simple technologies like mastering fire and forging tools and developing wheels. These then become the building blocks for the next generation of technologies, which then, once perfected and made simple, become the building blocks of the next technologies, and so on and so forth, right up to things like the modern hand-held computers and genetic engineering. Often innovation arises from improving and deepening current technologies, using existing tools to find cheaper and more efficient ways to do old things. Sometimes, innovation arises from borrowing ideas from different domains and applying them in new ways. Occasionally, a radically new innovation like electricity or the transistor comes along, making a whole generation of previously unthinkable technologies newly possible. The key implication of what Arthur calls the "combinatorial evolution" view of technological innovation is that these innovations do not come out of nowhere. "There are not magic wands or bright ideas in bathtubs," Arthur said. Rather, they emerge in what we often tend to think of as a more mundane way, from something that Arthur calls "deep craft" — that is, from a really thorough understanding of the existing technologies and comprehensive knowledge of a domain. "What you really need in invention is a superb command of the pieces in a toolbox," he said. "What really counts is a mastery of some vocabulary." Since technological innovation arises from combinations, it follows that the more tools one can command, the more potential combinations one can produce. And the more potential combinations, the more likely one is to find the truly innovative solution — the new technology that neatly solves the problem at hand, and perhaps makes all that came before it obsolete. Such an understanding has important implications because it means that innovation is not necessarily something that follows just because the president of the United States announces $2.4 billion in grants for electric cars, as he did in his Wakarusa speech (incentives can help, but Arthur argues it is dangerous to target them too much because it&apos;s so hard to predict where the next innovation will be). Rather, innovation is something that comes from the hard work of decades and decades of education and training. It is something that comes from devoting lots of resources to universities and investing in loads of basic science. And it is something that is fundamentally unpredictable. Who knew, for example, that vacuum tubes would lead to modern computing? "There&apos;s no question that superb science and technology education at all levels pays off hugely, hugely, hugely," Arthur said. "I can&apos;t exaggerate it. It&apos;s the ability to master and have in your quiver huge numbers of functionalities and a deep understanding of how phenomena work." By Arthur&apos;s count, since the 1960s some 14 new technological domains have emerged. These include things like modern biotechnology, financial derivatives, digital technologies, nanotechnology. Also by his count, the U.S. has dominated every single one of these 14 technologies — due, in great part, to the quality of American universities, the ease of raising investment capital to fund risky ventures and massive federal military investment in technology. All this makes Arthur less concerned about the future of the U.S. economy than many commentators have been of late. The Nature of Technology is also about the ways in which technological evolution has a self-creating logic of its own. For one, innovation is path dependent — that is, existing technologies define what can come next. For example, when the modern microchip becomes a standard building block, it defines both the possibilities and limitations of a generation of inventions. For another, all technologies create new problems. And these new problems call for new technological solutions. Consider the current problem of global warming. It is a direct result of a host of modern energy technologies that released energy from fossil fuels for production and locomotion. But these technologies also released extensive carbon into the atmosphere, which has begun to change the climate. Now we are seeking new technologies that can keep our economy thriving with significantly fewer carbon emissions. But what new problems will arise from whatever new technologies emerge? "It&apos;s a cycle I don&apos;t see ending," Arthur said. "I&apos;m not saying every technology creates problems, but the major issues we do have are all created by modern technologies, and I don&apos;t think that&apos;s going to go away. We&apos;re not going to arrive at an endpoint where we&apos;ve solved all problems. All we can do is solve the problems on our plate." And yet, if there is a circular nature to technological evolution, it is more like an ascending spiral staircase, with each new level generating a new set of arrangements, a potentially new economy and even a potentially new human psychology. New technologies sometimes radically reshape human affairs, which makes it very hard, for example, to develop truisms about economics that can describe more than one technological era. And often the insights learned from understanding the previous economy turn out to be misapplied to the current one, Arthur argues in the book. The current new economy seems especially difficult to describe and predict. We are now entering into the era of digitization and networked interconnectivity, very different from the machine-based production of the previous economy. "The economy is acquiring a nervous system," Arthur said. "One hundred years ago, everything was done locally. Suddenly everything is hooking everything into everything else." Arthur writes that the economy is becoming increasingly "generative" — as technology becomes more networked, it develops the capability to learn, to become biological and organic, as opposed to mechanical. But where that leads, who knows? Arthur thinks it&apos;s foolish to predict too much. "Better to seed centers of excellence, well-watered, well-incentivized, and see that they&apos;re healthy and well looked after. And then let nature take its course, and just wait and see what new technologies do come out." 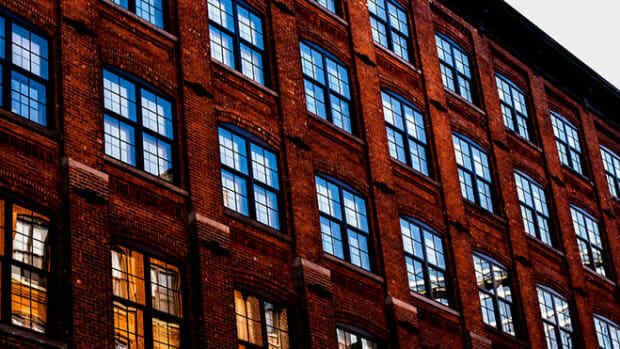 Does Innovation Always Lead to Gentrification? A new study makes the development of innovation districts sound like a win-win for all parties involved. But a look at some existing districts, like Boston’s Cambridge or Brooklyn’s Dumbo, makes it clear that there are downsides too. A mixed picture emerges as science organizations examine the U.S. lead in innovation and where that lead is headed.